How to unlock LG D415 by code ? 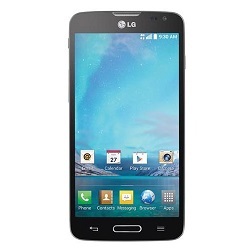 Unlocking LG D415 by code is the easiest and fastest way to make your device network free. It doesn't interfere in your system or change it in any way so even after using our code, you don't loose your warranty. In order to receive a network unlock code for your LG D415 you need to provide IMEI number (15 digits unique number). It can be found by dialing *#06# as a phone number, as well as by checking in the phone settings of your device. Network unlock for LG D415 is simple, easy and fast. We provide all network unlock codes (including NCK, SPCK, NSCK) for LG models from all networks. If your LG D415 doesn't ask for an unlock code whit unaccepted simcard you might need to use a SIM from original carrier (if LG D415 comes from AT&T put an AT&T sim card). All new LG D415 coming from T-Mobile USA or Metro Pcs USA with "Device Unlock App" can be unlocked by a Device Unlock App service. Unlocking instruction for LG D415 ? Generating an unlock by a free generator, can only block your LG D415 permanently.